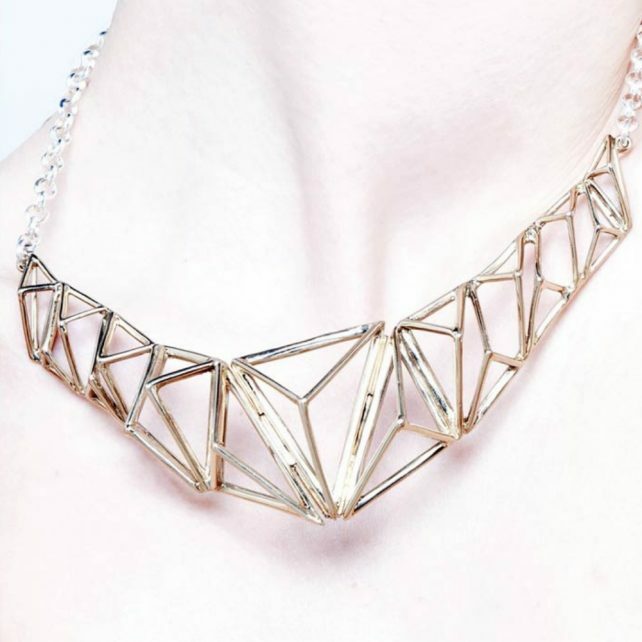 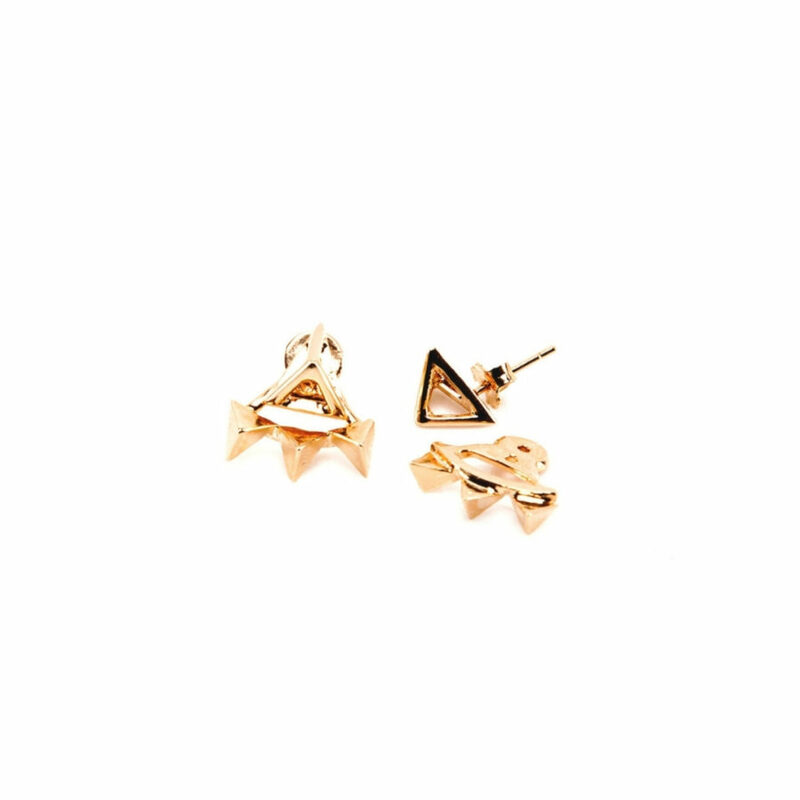 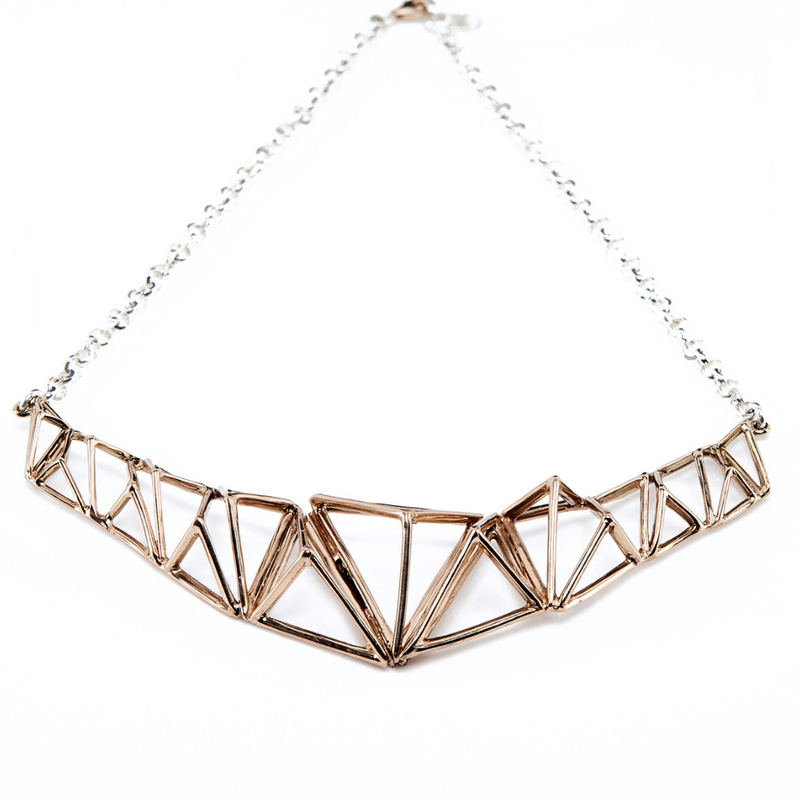 Our Prismi necklace in gold plated bronze feels like magic. 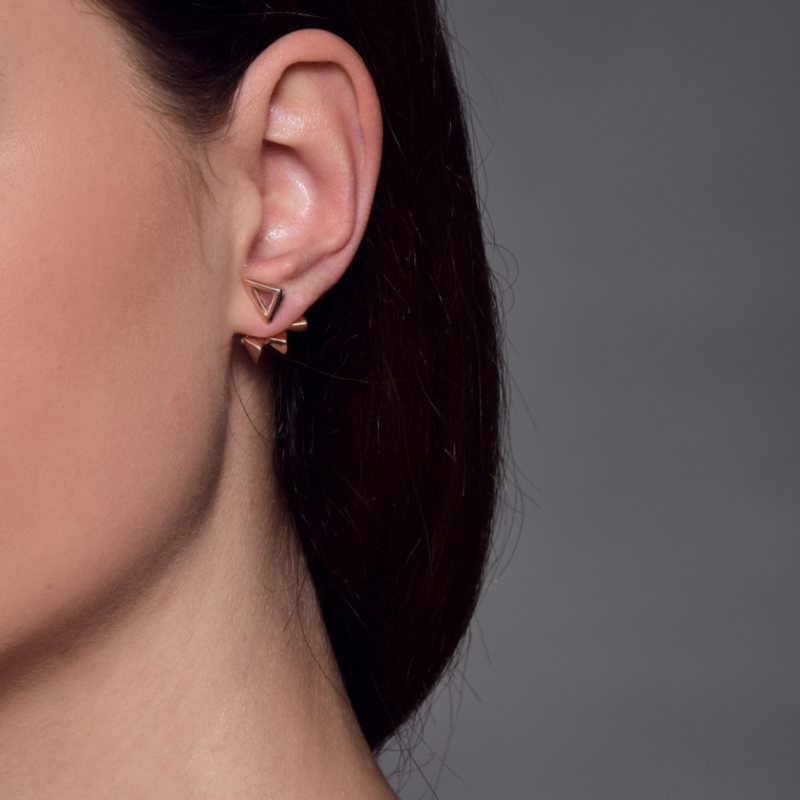 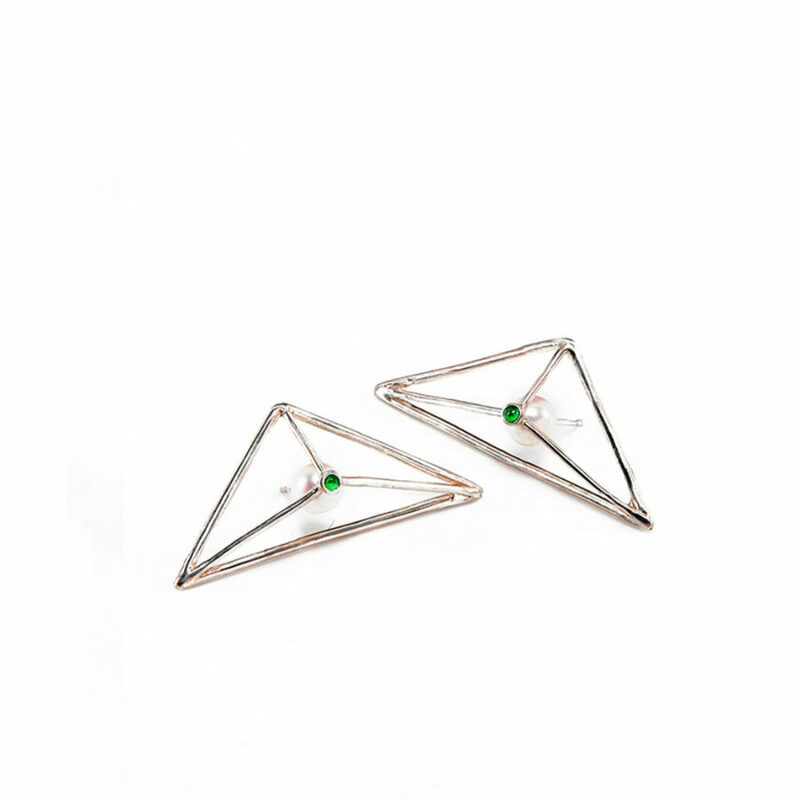 With these skin-touching pearls playing with angular and minimalistic shapes, our Double Prism W Pin in 925 silver sterling with pearls merge unexpectedly vintage and futuristic flairs. 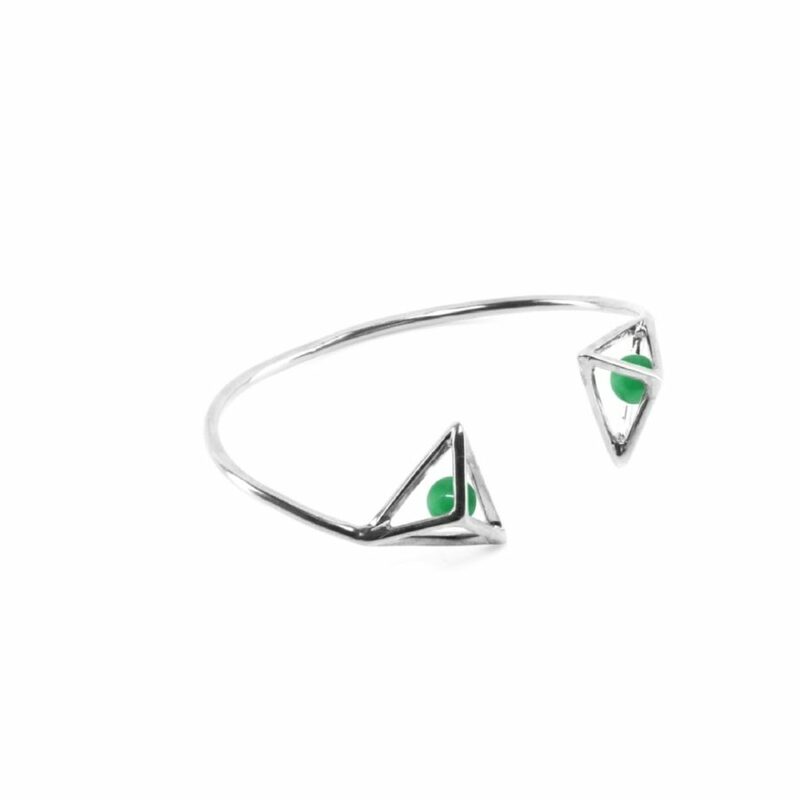 Our Double Wire Bracelet in 925 silver sterling, with its pink and green jades makes your wrist glow with beauty. 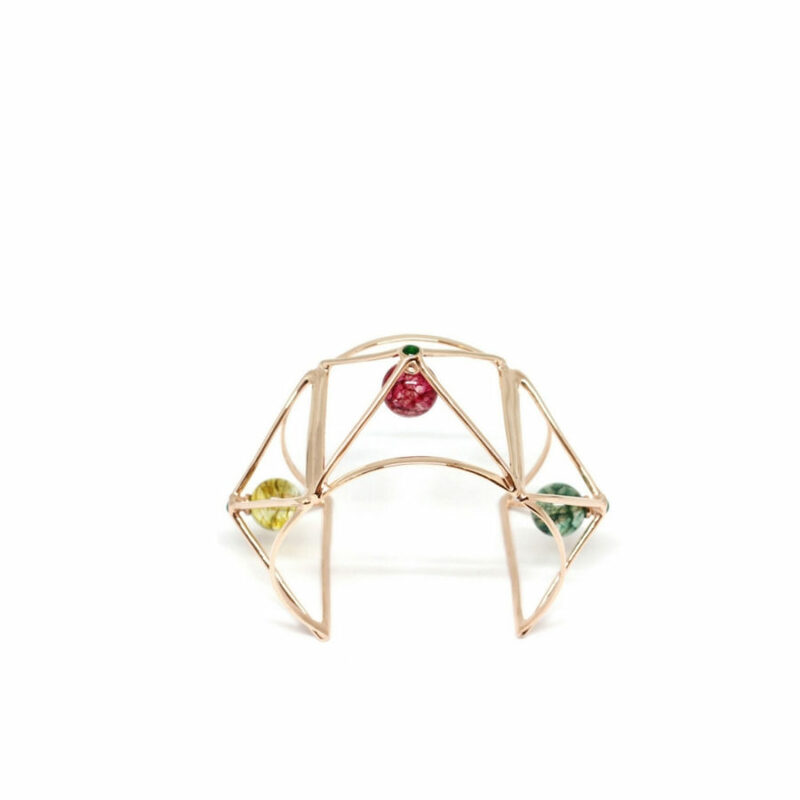 Our Wire cuff in gold plated bronze and colored stones is special.It makes us feel like we are always in a summer vibe. 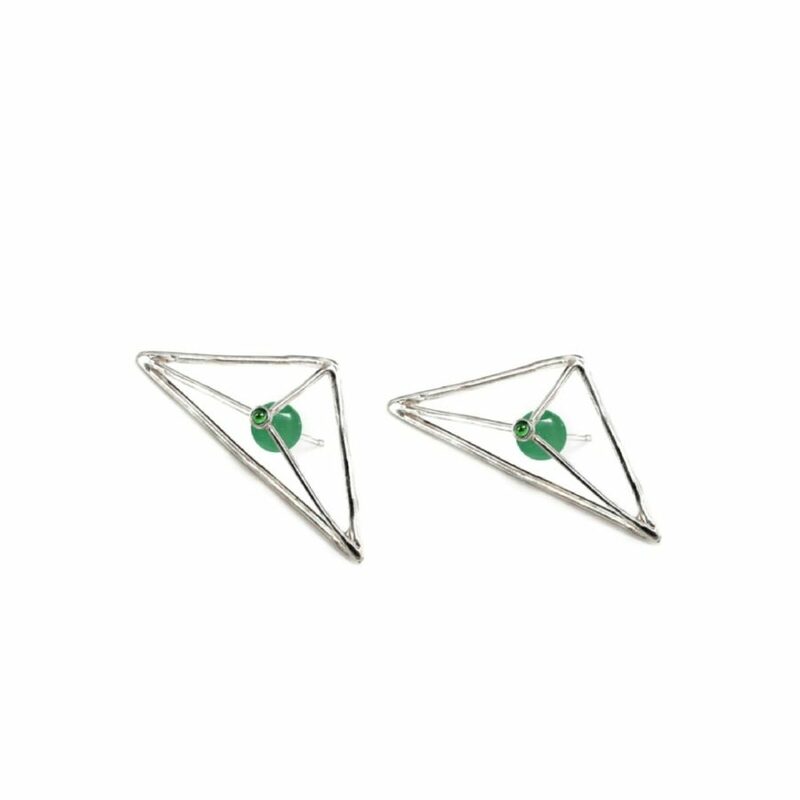 Our Prismatic Wire Earrings in 925 silver sterling treasure jealously two green jades, embellished by green enamels on top.Not to be missed!